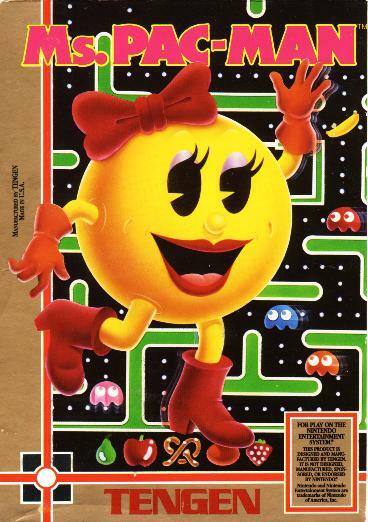 Ms. Pac-Man is a perfect metaphor for life: You got to keep running and make sure not to be consumed by ghosts. For me, personally, I tend not to feel an imminent threat of being eaten by ghosts. But I suppose some of my peers do, and, thus, Ms. Pac-Man's premise may be deeper than it appears. This comes up now because in my attempt to teach my children cultural awareness - AKA, video games from the '80s - Ms. Pac-Man has become the game we enjoy the most. The big games from the '80s can be found online, and I have been played a handful of them with Lady Pac-Man being the most fulfilling. Am I making a feminist statement, preferring Ms. Pac-Man to Pac-Man? Of course. Apparently, a lot of Pac-Man theory exists on the Web, and I find most of the tips silly. I did, however, learn that Pac-Man will stop after 255 levels and then look like the following: On the Ms. Pac-Man I have been playing, I have cleared 14 levels, which includes a final level of keys in which the ghosts do not turn blue at all. I have cleared one "Keyboard" level but have not gotten past "Keyboard II." I must admit that I am a casual Pac-Man player. I play for a few weeks every 15 years or so. Through my Internet research, I was amazed to realize that Pac-Man celebrated its 30th year of existence in May and Ms. Pac-Man will do the same next year. I also discovered in the bottom video at about 1:10 that Ms. Pac-Man can trap herself in a maze. My feminist statement continues.